The Paranoid Squirrel ep 250 21-04-12 The Methadones start and finish this week's show. Second on the bill are The Durango Riot who have a new track from their "Backwards Over Midnight" LP aired. El Doom & The Born Electric, who supported Motorspsycho at The Garage last week, have a track from their self-title album played. The track in question had me humming Gillan's "No Laughing In Heaven". It was 30 years ago last week that Mot?rhead released the "Iron Fist" album, so I play the said track but by Korpiklaani. The Von Hertzen Brothers have just released a "Best Of" CD (more like an "Introduction To"). I air the obligatory unreleased, unavailable anywhere else track. Also just out is the latest Nomads album "Solna". Obviously I play a track from it. Moving to the UK; The Dead Identities and BLEECH have both have their latest offerings heard along with Noizee that features Claire Product. For the first and last time and against my better judgement I play some Ted Nugent with The Sonic Graffiti, featuring Ginger Wildheart, Billy Morrison, Scott Lipps and the Podfather himself Michael Butler, winding things up before the Methadones end the whole shenanigans. The Paranoid Squirrel ep 248 07-04-16 This week's show is a Charity Event in aid of music4children and The Streatham Cats Rescue Group. So after you've listened to the show I'd be really grateful if you'd scoot over to their web-sites and donate a few quid. The bands that I managed to recorded at The White Lion in Streatham last Saturday were Brijitte West (ex NY Loose), The Peckham Cowboys featuring Marc Eden from Men And Gods and Mr. Guy Bailey formerly of The Quireboys and Tyla from The Dogs D'amour. I also had a chat with Rocky Shades of Wildside Riot and formerly of Wrathchild about his sort tenure in Discharge. The Paranoid Squirrel ep 247 31-03-12 Another new track from Imperial State Electric's "Pop War" album begins proceedings this week. Then it's off to a track from Thee Orphans new album "Average Kinda Savage". Travelling back to the future to the halcyon days of Glam I play a brand track from Sweet from their covers album "New York Connection". The track that they cover was original done by….Electric Frankenstein! As there are two official Sweet bands. I play a track by the other one. "Fence sitting", that'll be me. The mighty, mighty Nomads have just released a brand new single, their first for 11 years. Obviously I play it. You've Simon Edwards to thank for the latest "Compare and Contrast". In the Dock is Bruce Springsteen with a seething Lightening Seeds prosecuting. Smoke Mohawk lead us into the home straight with a track from their as yet one and only album. Smoke Mohawk feature Danny Young and Rolf Yngve Uggen formerly of Gluecifer. Crossing the finishing line is the genius known as Ginger Wildheart with a track taken from the 1st batch of his 555% 30 track CD project. The Paranoid Squirrel ep 246 24-03-12 Once again it's an all live affair this week with the spotlight firmly focused on headliners Graveyard with fellow Swede's Horisont and Hastings based Sir Admiral Cloudesley Shovell waiting in the wings of the Underworld, Camden. Get ready for some classic sounding 1970's Rock!!! The Paranoid Squirrel ep 245 17-03-12 99% of this week's show features new releases. First up its The Hives, then Miss Guy from The Toilet Boys opens wide. Home-grown talent comes courtesy of French Electric and Orpheum, whilst Brian James and Angel Witch fly the old guard flag. Imperial State Electric have just released their 2nd studio album "Pop War" so obviously I play a track from it. We then travel over the pond for Jake Starr and The Delicious Fullness followed by The Heartless Devils. Denmark's Baby Woodrose round off the new releases with a track from their "3rd Eye Surgery" LP. The 1% of the show that isn't new is former Damned guitarist Kris Dollimore covering the Stooges Blues style and a band I'm super getting into The Bloody Hollies. The Paranoid Squirrel ep 244 10-03-12 On this week's show I talk about the lack of G.M.T. (that's Robin Guy, John McCoy and Bernie Tormé) at the two recent Girlschool gigs and my theory on it. Even so three live G.M.T, tracks from their "Raw-Live" find there way into the show. Obviously Girlschool's live set from The Garage takes up the remaining show and what a stella set it was. Irrespective of gender the band constantly deliver the goods whether it's in the live or studio department. The Paranoid Squirrel ep 243 03-03-12 This week's show is an all live affair featuring, all the way from Denmark, D-A-D (the artists formally known as Disneyland After Dark) recorded at The Camden Underworld on the 29th February. The Paranoid Squirrel ep 241 18-02-12 To celebrate Danny McCormack's 40thBirthday the former Wildhearts Bassist reformed for one night only The Yo-Yo's. Danny hasn't been on stage for seven years so tickets flew out the door for the event, so much so that a "late" show tacked onto the end of the "early" show. The opening act were Plan A who also reformed for the night and feature another former Wildheart in the shape of Jef Streatfield on guitar. The Yo-Yo's set comprised of two halves, well ¾ and a ¼, the first was a greatest hits package then Chris McCormack, Rich Battersby and Andy Cains joined Danny for a selection of covers with Ray McVeigh of The Professionals joining the foray. So for your listening pleasure I have for you Plan A's and The Yo-Yo's early show! The Paranoid Squirrel ep 240 11-02-12 In a packed programme tonight we have Day 21, that feature(d) Jimmy Pursey and Mat Sergeant formally of Sham 69 and from The Towers Of London, The Rev and Snell. Then it's off to 1996 for some Sponge. I also remember to play the A-Side of latest Imperial State Electric single. 2012 sees new material from; Canadian Rockers The Lustkiller, Teenage Casket Company, The Cult and Killing Joke. Obviously I play new tracks by all off the above. Time travelling again back 28 years to play a track off Kory Clarke's pre Warrior Soul band The Trial's recently rediscovered one and only LP. "Compare and Contrast" is back with The Damned, allegedly at it again. Then Badmouth, from Sweden with a Chips Kiesbye produced track, hit us before Gilby Clarke recorded live at the Camden Underworld finishes us and things off. 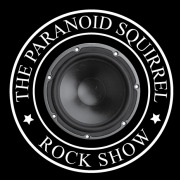 The Paranoid Squirrel ep 239 04-02-12 Hurrah!!! My first gig of 2012 and it was a great bill; Reckless Love, Jettblack and The Treatment all on the same bill as part of HMV's "Next Big Thing". Not really much else to add apart from enjoy 2 hours of top rock courtesy of Spinefarm Records.